Cremation Jewelry – What It Is and How to Find the Best Pieces? When we lose a loved one there is a natural impulse to hang onto the deceased. We want to hold on to their presence for as long as possible, but eventually, even our memories start to fade. What can you do to hold on to your deceased loved one? Is there a way to keep them close to your heart? With cremation jewelry, you can always keep your loved one near. Cremation jewelry is another way to keep a permanent reminder of your loved ones. They can also be referred to as cremation jewelry keepsake urns. Classic mourning jewelry has been used for thousands of years and has been growing in popularity recently. Some people get tattoos or establish memorials in remembrance of the deceased, while others always want to keep part of their loved one near. Cremation jewelry allows you to physically keep a piece of your deceased loved one close by containing a small portion of cremated remains. Cremation jewelry comes in many forms. You can get cremation jewelry rings, earrings, necklaces, bracelets, and pendants. 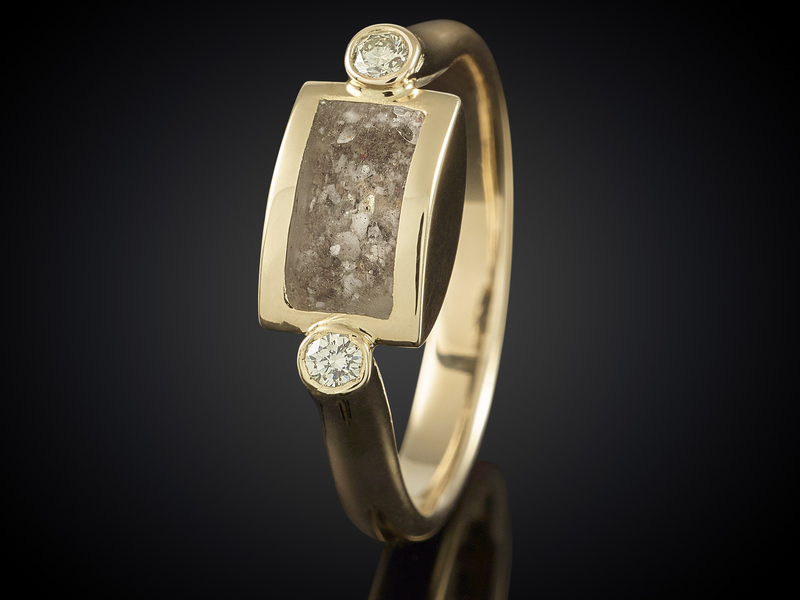 Recent advances have even brought a new twist to cremation jewelry that allows you to create memorial diamonds. Using the carbon extracted from your loved one’s cremated ashes, a synthetic diamond can be created. The purity is as high as a natural diamond and can be incorporated into all types of stunning cremation jewelry that become family heirlooms. You can even choose the cut and color of your memorial diamond, which allows you to inject the deceased’s personality into your keepsake jewelry. When you begin looking for the type of cremation jewelry that you would like, there are many options. The first step is to think about what jewelry you already wear. You might think a pair of earrings is stunning or cremation jewelry rings are gorgeous, but if you aren’t comfortable wearing this type of jewelry it might not be the best fit for you. The most popular types of cremation jewelry are cremation necklaces and pendants. These are comfortable to wear and the variety of styles allows most people to find something appropriate for their taste. With pendants, you can also easily switch out chains to accommodate your outfit or if you’re going for a different look. The most important thing to keep in mind is that you’ll be keeping your loved one close to you, so the type of jewelry is less important. Cremation jewelry can be found at many different locations. A simple internet search will reveal plenty of options, but in memorializing your loved one, don’t you want the best? Surely you don’t want to buy something that will fall apart or tarnish over time. You want a piece of jewelry that will last and can be passed down from generation to generation. By choosing your cremation jewelry from a company with experience in cremation jewelry like The Comfort Company, you can rest assured that you are getting a stunning piece of memorial jewelry that will last. We offer gold cremation jewelry and sterling silver cremation jewelry, so no matter what your style is, we’ll have a stunning piece of jewelry for you. If you are looking for truly unique cremation jewelry you might be better off designing it on your own. You want something that stands out and matches your personality while memorializing your lost loved one. At The Comfort Company, we give you options to make the cremation jewelry pieces that you want. Many of our stunning pieces allow you to choose the finish and chain that suits you best. If you want a gold set of angel wings or a sleek titanium cylinder pendant, we have what you’re looking for. The most important thing to keep in mind when looking for cremation jewelry is the purpose of your search. Always keeping a piece of your loved one close is the purpose of cremation jewelry and whichever piece you choose, your loved will simply enjoy being along for the ride.